Embattled J.C. Penney is closing 33 stores and cutting 2000 jobs in an effort to start earning profit again. J.C. Penney has been struggling for months, thanks to plummeting sales figures under ousted CEO Ron Johnson. All of the job cuts are related to the stores closing its doors. The strategic move by the store is an attempt to right itself amid low sales figures. The move has caused some concern on Wall Street, however, who fear that perhaps the retail season, a time in which many stores can earn up to 40 to 60 per cent of their annual revenue, was not as successful as originally anticipated. 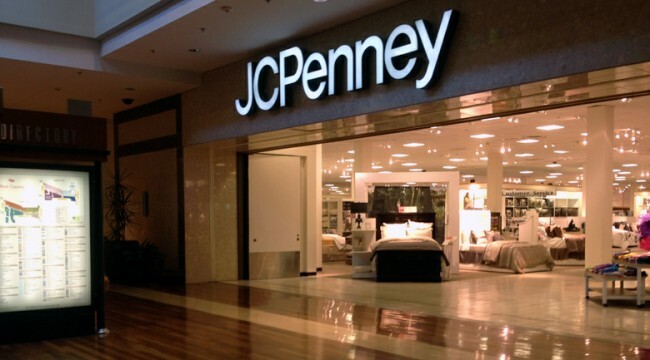 In the last year, J.C. Penney’s stock has plummeted more than 60 per cent. The store is also bringing back the sales commission in the hopes that it will inspire salespeople in the window coverings, furniture and fine jewelry departments to forge stronger customer service relationships. Johnson, formerly employed at Apple, had been brought in as CEO in an attempt to modernize the decades-old store’s reputation. However, there had been several quarters of dropping sales and several consumer complaints, leading the store to get rid of Johnson and bring back former CEO Mike Ullman. With J.C. Penney closing 33 stores and cutting 2000 jobs, the Plano, Texas-based chain estimates it will save $65 million. In the last fiscal year through February, net losses of up to $985 million were posted. Of the 33 stores closing, two are actually owned by the company while the rest are leases. In addition to the return of the sales commission, Ullman is bringing back some private label brands, such as St. John’s Bay, which have been sorely missed by consumers. However, Ullman has an uphill battle in reviving the J.C. Penney brand. The economy continues to pose problems for consumers, who are restraining their spending wherever possible. Consumers aren’t looking to shop when they don’t have to. J.C. Penney is not the only store looking for ways to save. Macy’s has also announced it’s trimming 2,500 jobs and closing five stores in an effort to save $100 million yearly. In addition to the retail-oriented positions, Macy’s is getting rid of several administrative and central office jobs. It’s believed that the closing J.C. Penney stores will finish their closing process by May, while the commission-based sales structure is set to bow in February or March. There has been a massive shift in consumer spending from items like jewelry and furnishings to mobile devices and computers, which has been a struggle for many stores. There has also been a shift in the way consumers shop, too; many consumers are turning to an online shopping experience rather than dealing with a box store, it seems, and the retailers are now struggling with the aftermath of those consumer choices. With J.C. Penney closing 33 stores and cutting 2,000 jobs, national business insiders are keeping a close eye on the company’s sales figures. There had been some concern when no figures had been posted by January 8 for the Christmas season, and some suspect these cuts may just be the tip of the iceberg for the retail world’s woes. One Response to "J.C. Penney Closing 33 Stores, Cutting 2000 Jobs"
Its disappointing to see such a long standing American company going through so many drastic changes with the threat of closing its doors. Its even worse that over 2,000 jobs will be lost as a result. If JC Penney doesn’t get things turned around, unfortunately, there will be even more job losses.